46/y/o patient with missing posterior molar teeth in upper left jaw. 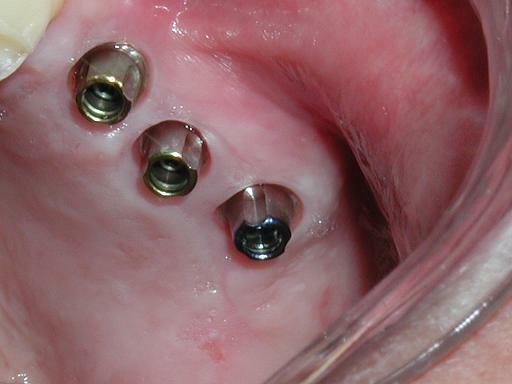 Three implants placed with simple local anesthetic. Two to three months later, the implants /abutments were ready for the restorative dentist to fabricate crowns. 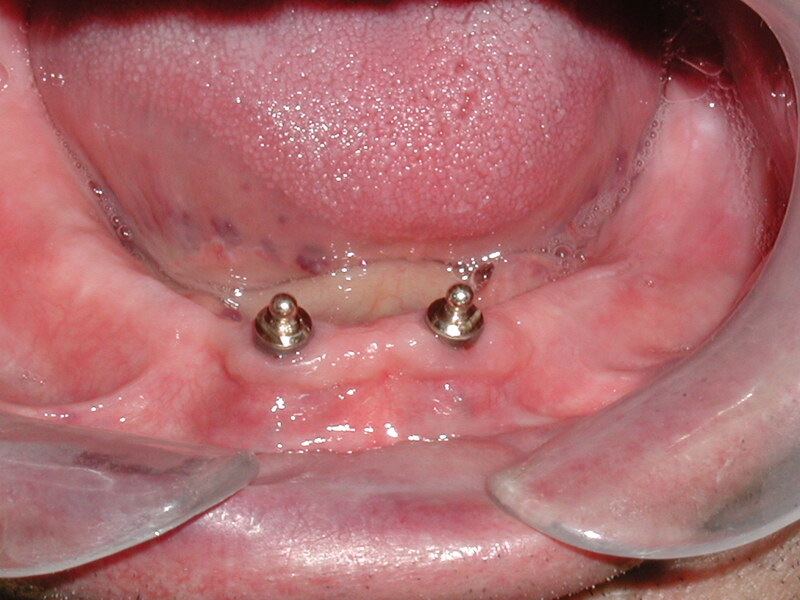 Implants and final abutments were placed in one stage with the non-surgical flapless technique (i.e. no incisions or stitches). 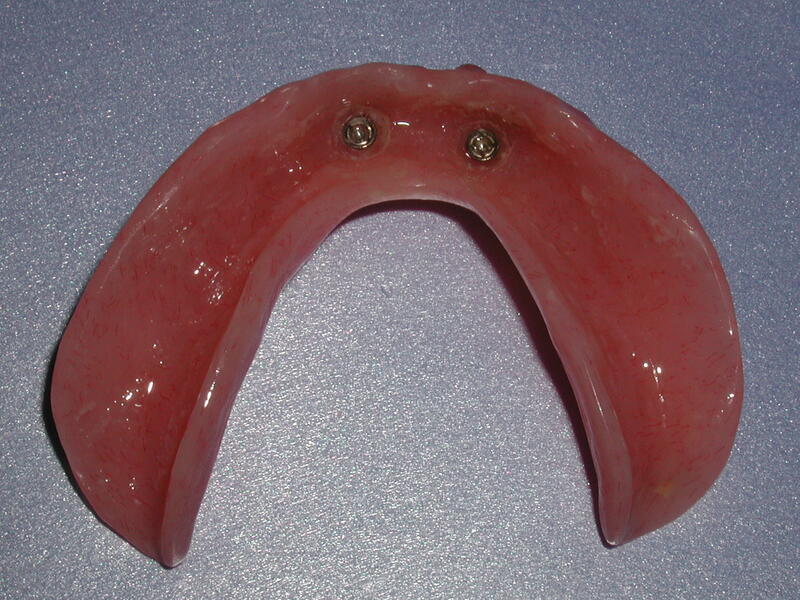 Two implants on lower jaw with ball attachment (or Zest snap-on locators) to secure lower denture. 70 y/o male with all upper teeth missing. Patient was prepared and evaluated in our office. With the use of the CT Implant scanner and advanced implant planning software, implants were placed and a fixed provisional was delivered the same day. "Teeth in an Hour"! In summary, the I CAT scanner can be used for a variety of applications. Precise planning of routine cases, detailed evaluation of Implant sites, sinus anatomy, and nerve locations. Post operative implant evaluations are easily done as demonstrated in the sinus graft case above. In addition, there are other uses that are applicable. Orthodontic patient analysis, TMJ evaluations and airway evaluations are additional uses of this technology. The I-Cat scanner is one of the most beneficial tools that has helped advance implant dentistry during the last decade. Fig. I 12-unit fixed provisional secured in place immediately after implant placement "Teeth in an Hour"